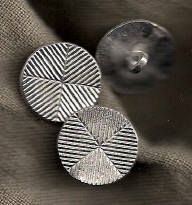 Death head buttons were a popular 18th century button style of thread or "Dorset" button. 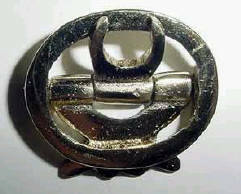 Often metal buttons were cast or stamped in various metals to imitate the popular pattern. Our death head buttons are cast of the highest quality pewter and hand finished to perfection. In The Virginia Gazette of 1769, "RUN away . . . two Scotch servants, one a man, a tailor by trade . 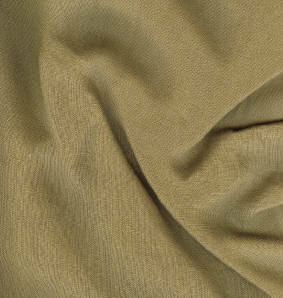 . . took with him a cloth coloured frieze coat with white metal death head buttons".